Come find out what we are all about. Your introductory pass gets you unlimited access to our classes for one month. 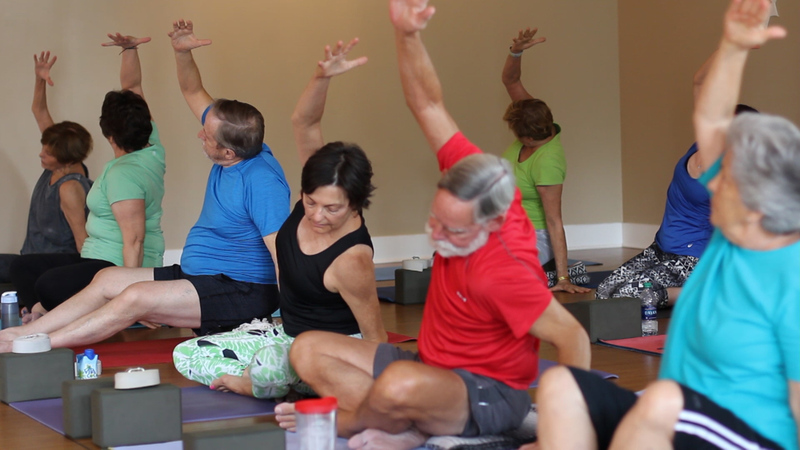 We offer a variety of gentle yoga classes, including chair-assisted yoga and mat-based classes. Not everybody can easily get up and down off the floor. We get that! 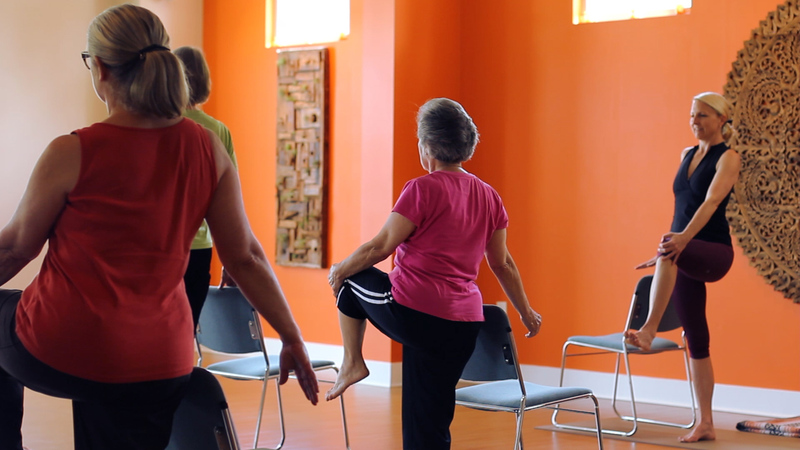 Chair yoga offers all of the benefits of yoga, without ever having to get on the floor. Ever wish you could quiet your mental chatter? Meditation is fitness training for your mind. P.S. You don't have to sit on the floor in lotus pose to meditate! Buy a gift card online. Available 24 hours a day. You pick the amount and delivery date. The mission of Spry Mind+Body is to support and promote healthy aging, in community, through mindful movement and stillness. You already know us as Savannah Power Yoga. We have a great community AND we want to share the power of yoga with even more folks in Isle of Hope and the surrounding community. If you live nearby but are not interested in heated power yoga, Spry Mind+Body was designed with you in mind!